Hey guys it’s Ash and in this guide I’m going to show you guys all about the new Cannon Cart. I’m going to show how to effectively use this card, how to counter it, and show you 1 on 1 demonstrations of this card versus all the other cards. The Cannon Cart acts as a moving troop card, but when its shield is destroyed, it converts into an immobile building. It moves fast, in fact it’s just as fast as a Mini P.E.K.K.A. It has a big attack range of 5.5 tiles, which is half a tile more than a Bowler, but half a tile less than a Musketeer. Compared to a normal Cannon, the Cannon Cart does much more damage, but has a much slower hit speed. The Cannon Cart’s shield will not be destroyed by Fireball or Poison, but will be destroyed by Rocket or Lightning. Lightning will destroy the Cannon Cart’s shield, but will not touch the Cannon. The biggest setback to the Cannon Cart is that it can not target air units, which can be a problem for an expensive 5 Elixir card, so it’s best to pair the Cannon Cart with spells such as Arrows or Fireball, as well as troops that can kill Minions and Bats easily, such as Fire Spirits, Wizard, or Executioner. Let’s start with how the Cannon Cart can be used on defense and offense first, and then we’ll go over ways to counter it at the end. 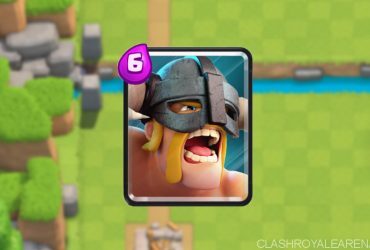 It’s an excellent counter to the Battle Ram, stopping both the Ram and two Barbarians effectively, while maintaining its shield. Since it acts as a troop when it still has its shield, the Hog Rider will ignore the Cannon Cart and go straight for the Arena Tower, and land two swings. The Cannon Cart is very different from a normal Cannon, it won’t be able to attract a Giant when it still has its shield, so it’s not a very good at stopping big tanks. Giant + Support = However, most people will use a support unit behind their tank, so you can use the Cannon Cart to shield against the damage behind a Giant. When the Cannon Cart is destroyed, it can then pull the Giant. With its shield, it can take two big hits from a Pekka before its shield is broken, but it won’t do as much as just scratch the Pekka. Pekka is an excellent counter to the Cannon Cart. Its shield can also take a charged attack from Prince and take a second hit before its shield is broken. Even with charge, Bandit will fail to destroy the Cannon Cart’s shield. 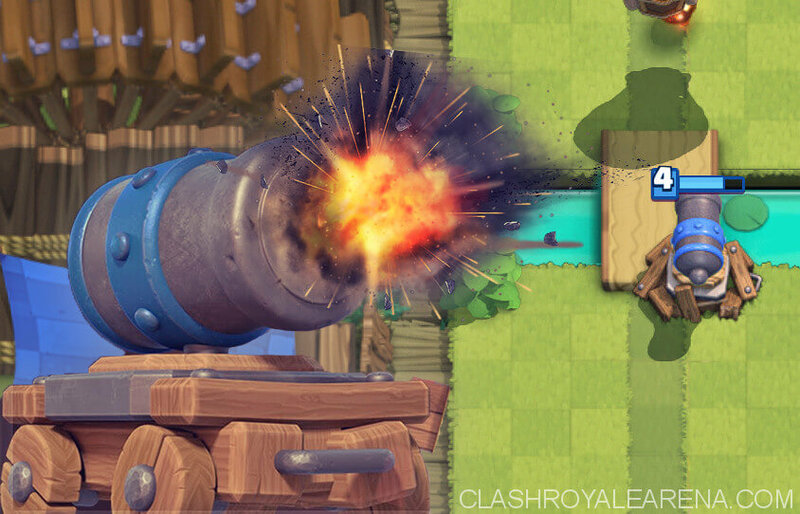 Sparky’s attack will destroy the Cannon Cart’s shield. It can distract a Mortar, and shoot it from range and destroy it quite easily. Elite Barbarians are an excellent counter to the Cannon Cart. Now let’s go over the best ways to use the Cannon Cart on offense. Because it’s a ranged attacker, it is best to use a tank or mini tank in front of the Cannon Cart. Such as, Ice Golem, Knight, Giant, Golem, or Pekka. All of those are great to use in front of the Cannon Cart. While behind the Cannon Cart, you want to support it with something that can attack air units such as Minions, because the Cannon Cart and tank are weak to air. So for example, a great way to use the Cannon Cart on offense would be to place a Giant in front of it, and a Baby Dragon behind it. This is a very powerful combination because you have so much HP combined between the Giant, Cannon Cart’s shield and cannon, and Baby Dragon’s very decent HP. Another great way you can use Cannon Cart on offense is placing an Ice Golem in front of it, while carrying the Zap Spell. If Minions try to counter the Cannon Cart, then the death damage from the Ice Golem combined with a Zap can instantly get rid of those Minions. How to counter Cannon Cart? Similar to how a Royal Giant pressures opponents with his range, the Cannon Cart can also pressure and force the opponent into spending a lot of Elixir to counter it. The Cannon Cart’s biggest weakness is of course air troops, and most smart players will always carry spell cards such as Arrows or Fireball, as well as air attacking troops to protect their Cannon Cart. So you can’t solely rely on troops such as Minions or Mega Minion to counter the Cannon Cart. The safest way to counter the Cannon Cart would be to distract it with a tank or mini tank. Such as using a Knight or Giant to distract it, while you use other troops to counter it. 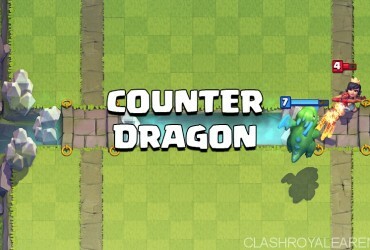 Most players will use a tank in front of their Cannon Cart, such as a Giant, and a supporting unit that can attack air behind the Cannon Cart such as Baby Dragon or Mega Minion or Executioner or Witch. So how do we break down an attack such as this? Well, Cannon Cart isn’t a normal supporting unit like Bowler or Musketeer because he has a lot more power than Bowler, while also has that special shield, unlike a Musketeer. So you can’t use a support killer such as a Knight or Valkyrie to stop the Cannon Cart. Instead, you’ll have to destroy the tank in front of the Cannon Cart first. The good thing is, Cannon Cart is only a single attacker. Another very smart way of stopping a Cannon Cart is to not allow it to pass the bridge and just destroy its shield. This way you don’t spend much Elixir on stopping it, while if its shield is broken and isn’t within range of your Arena Tower, you can just ignore it and let it decay.